EU election observers have called on Gabon’s electoral commission to ensure votes are counted “with transparency and speed” after this weekend’s presidential election, where incumbent Ali Bongo is hoping for a second term. Bongo, 57, has long sought to emerge from the shadow of his father, Omar Bongo, who ruled the country of 1.8 million people for 41 years until he died in 2009. The EU currently gives around 40 million euros in aid to the tiny West African state of Gabon, largely spent on education and infrastructure. But a last-minute election pact from the opposition may rob Bongo of a clear run at a second term. The president’s only credible challenger, former senior African Union official Jean Ping, 73, is carrying the flag for the old guard of Bongo senior’s cronies. It was only last week that protracted negotiations finally led the last of other prominent opposition hopefuls to give way to Ping. Until then, their presidential ambitions would most likely have mathematically ensured Bongo won another seven years in office. Nine other runners have a negligible chance of winning the election, which will be decided by a simple majority after a single round of voting. 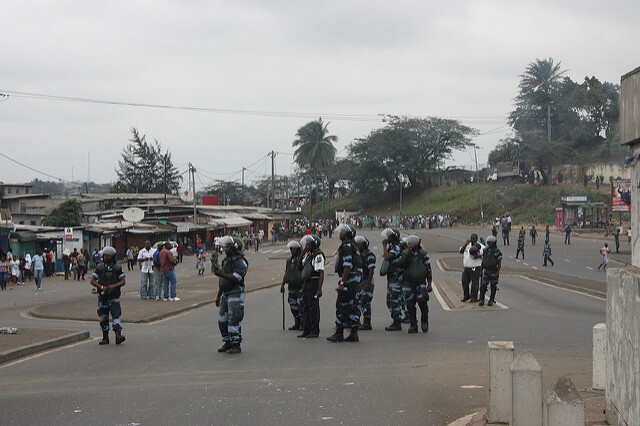 Fears that the results will deliver unrest are fuelled by memories of the violence that followed Bongo’s 2009 victory against Andre Mba Obame. Several people were killed, buildings looted, a ceasefire imposed and the French consulate in the economic capital Port-Gentil torched. Earlier this month, on the eve of the campaign start, the UN, EU, United States and four major European states appealed for a free and fair vote. They urged authorities to ensure respect for freedom of expression and association, as well as fair access to the media. “It’s essential that political figures favour dialogue and negotiation and refrain from all incitement to violence, to hatred or the stigmatisation of certain communities,” said the embassies of France, Germany, Italy, Spain and the United States in a joint statement. “It is also essential that national and international norms in fundamental freedoms and human rights be respected, notably in the maintenance of law and order,” the statement added. The statement was also signed by the special representative of the UN Secretary General for Central Africa and the delegations of the European Union and the International Organisation of La Francophonie. 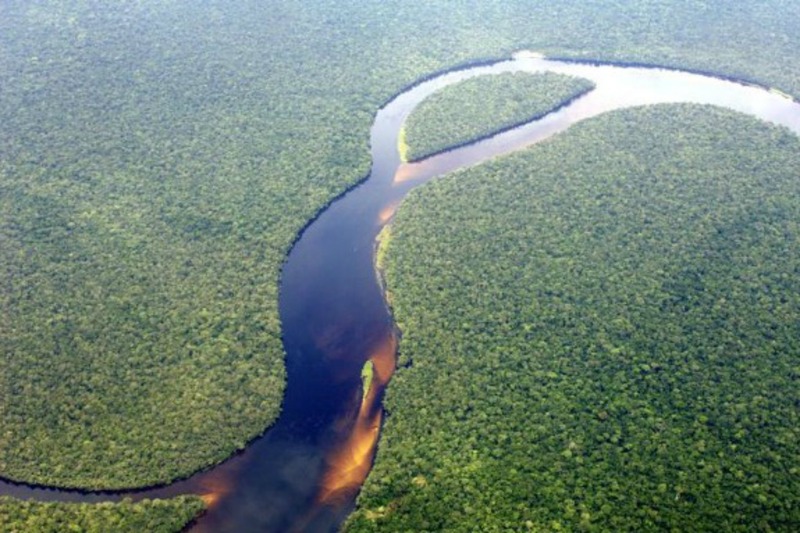 Six African nations have agreed with donors on a plan to protect the tropical forests of the Congo basin, the second biggest in the world, after the Amazon’s, to help ease poverty and combat climate change. There has been growing popular discontent and numerous public sector strikes in recent months. The country’s economic woes are closely tied to the fall in the global price of oil, the mainstay of Gabon’s perilously undiversified economy. Thousands of oil workers have lost their jobs, according to the sector’s main union, ONEP. “If these people and their families express their frustration at the ballot box, well, that could end badly for the government’s candidate,” said ONEP’s deputy head, Sylvain Mayabi-Binet. “There are enough frustrated people for the slightest spark to send people into the streets,” he added. Bongo, 57, has campaigned under the slogan “Let’s change together”, playing up the roads and hospitals built during his first term and stressing the need to break with the bad old days of disappearing public funds and dodgy management of oil revenues. Ping has pledged to ensure, if elected, that Gabon would be “sheltered from need and fear”. The campaign period has been marked by months of bitter exchanges between the two camps, including accusations, and strenuous denials, that Bongo was born in Nigeria and therefore ineligible to run. Ping’s own roots – he is Sino-Gabonese – served as ammunition for Bongo’s camp, which has suggested he and his son are secretly serving Chinese interests. The two rivals go back a long way, having worked for years together under Bongo senior, who was responsible for getting Ping his job as chairman of the African Union Commission. Ping also has close family ties to the Bongo dynasty: he is the father of two children by Ali’s sister. And then Brussels will make you ignore the result and run the election again.